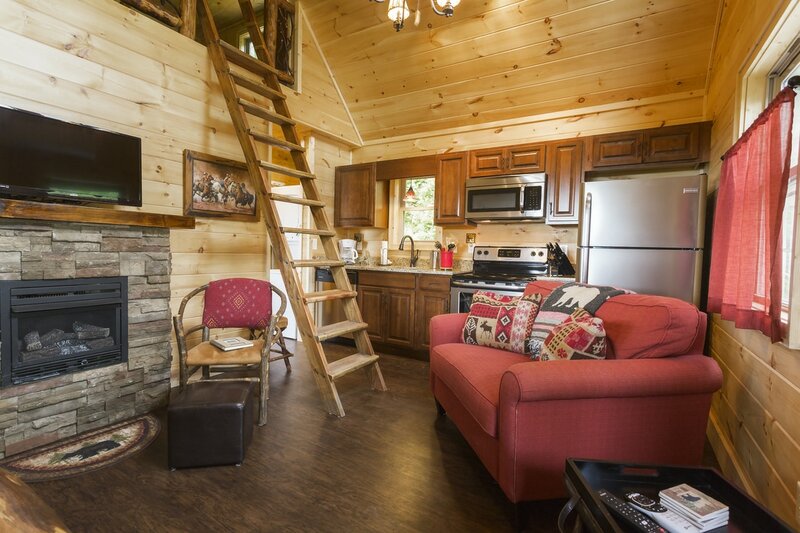 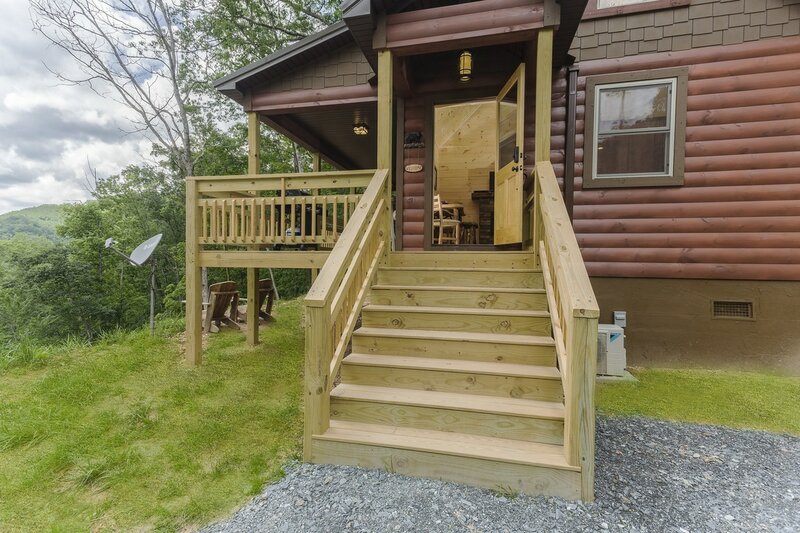 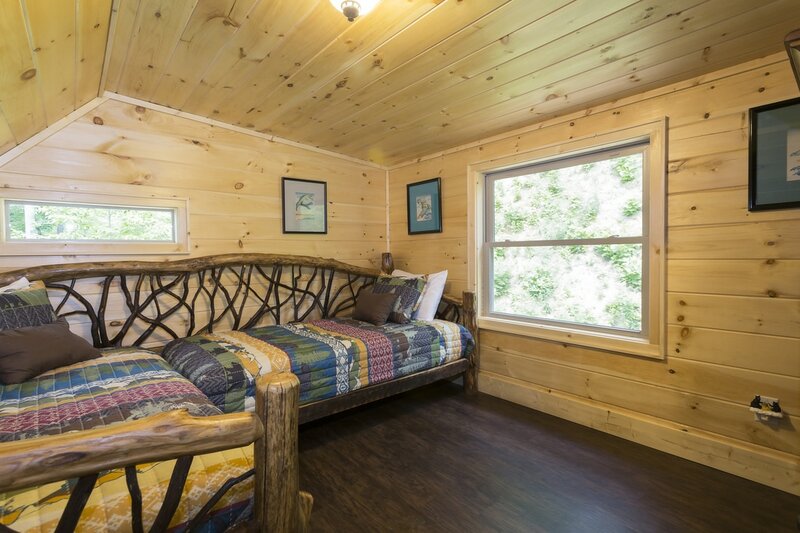 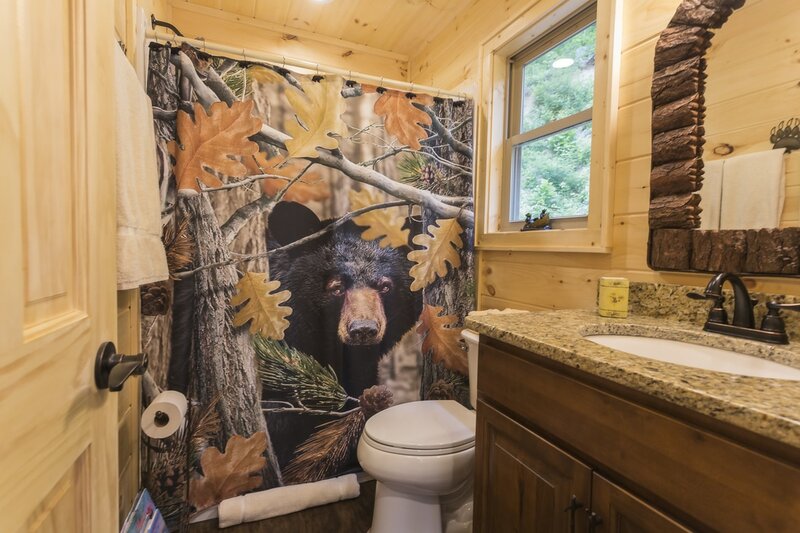 Beautiful crafted small home with attention given to every detail. 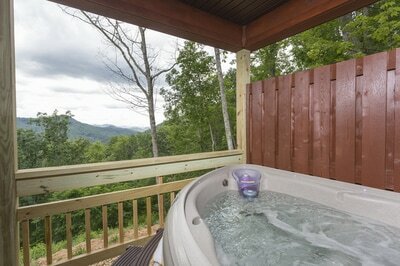 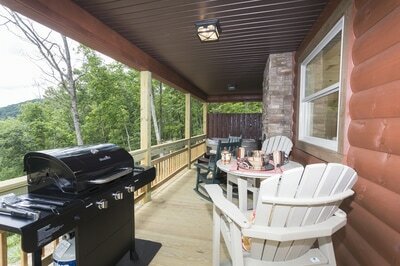 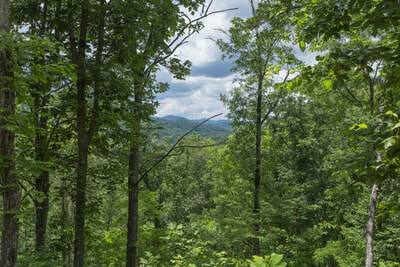 Our guests enjoy sitting on the porch viewing multiple long-range mountains. 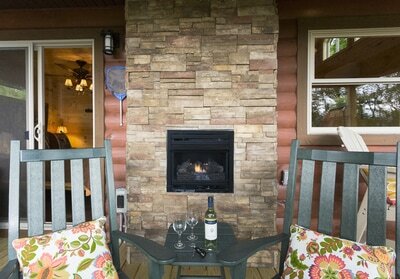 During the evenings families gather around the outdoor fireplace to share stories and make new memories. 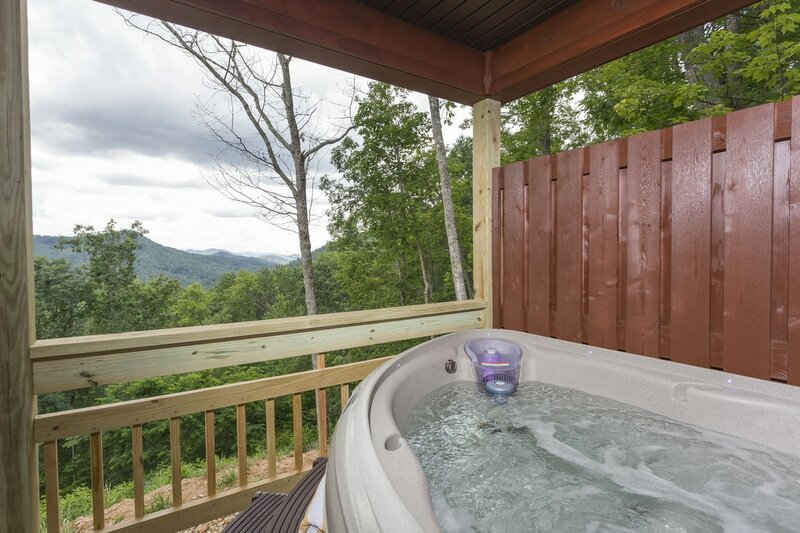 The spa is located just outside double glass doors of the master bedroom - a refreshing way to spend time enjoying the views and fresh mountain air. 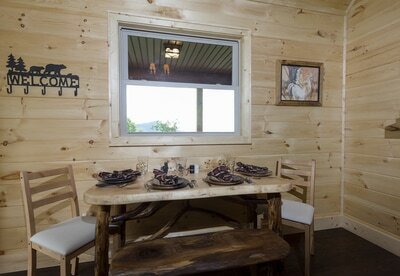 When entering into the home the workmanship of hand crafted furniture is immediately noticed. 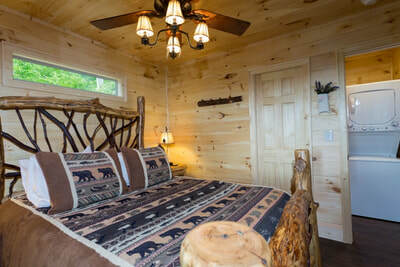 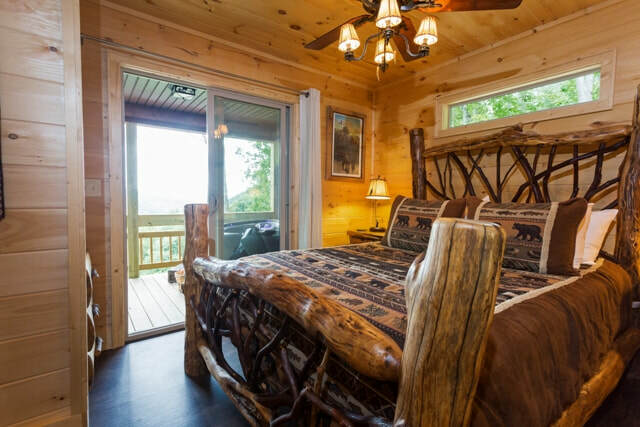 The dinning table is made from locust, maple and mountain laurel branches; the bedroom has a queen bed and nightstands made from locust post and mountain laurel branches. 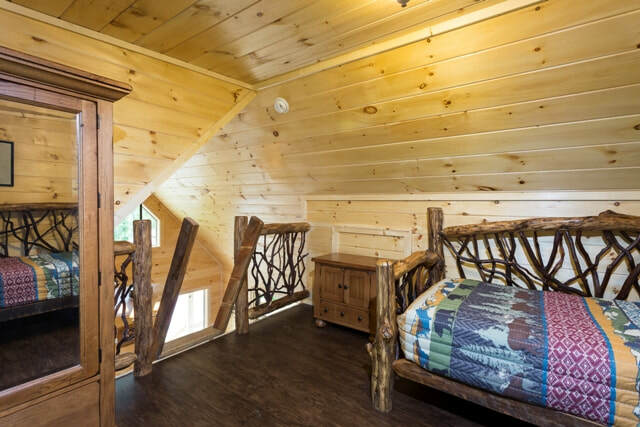 The loft area have custom made twin beds. 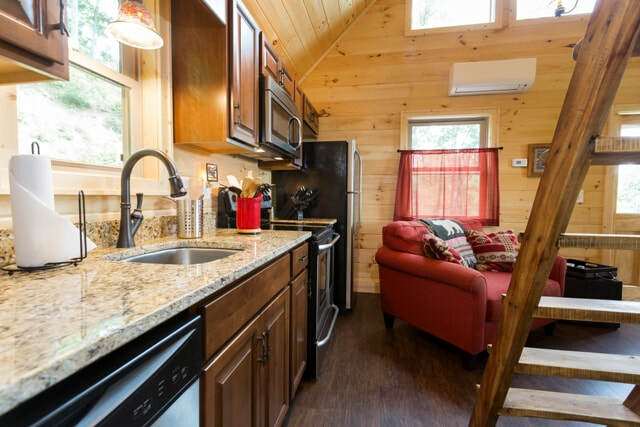 We have a fully equipped kitchen with stainless steel appliances and granite counter tops. 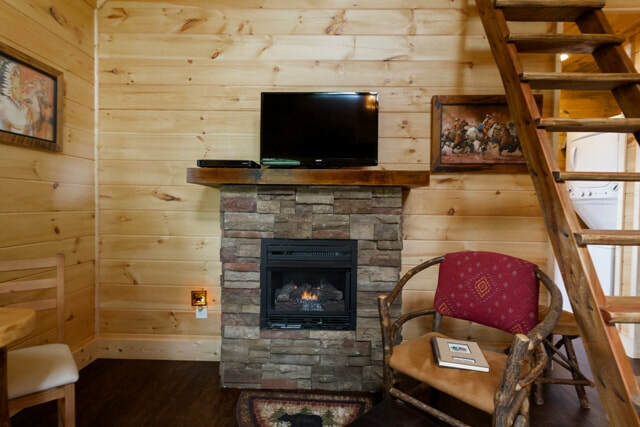 Start making your mountain memories for a lifetime today!